Continental ContiSport Contact™3 is extremely sporty and safe with no compromises for real high performance cars. Continental ContiSport Contact™3 is extremely sporty and safe - no compromises. It is designed for powerful sports cars, sports coupes and luxury sedans. The maximum performance tyre exhibits agile steering response and has excellent braking capacity needed in vehicles of this calibre. It provides resistance to aquaplaning and other elements that help gain good wet traction. 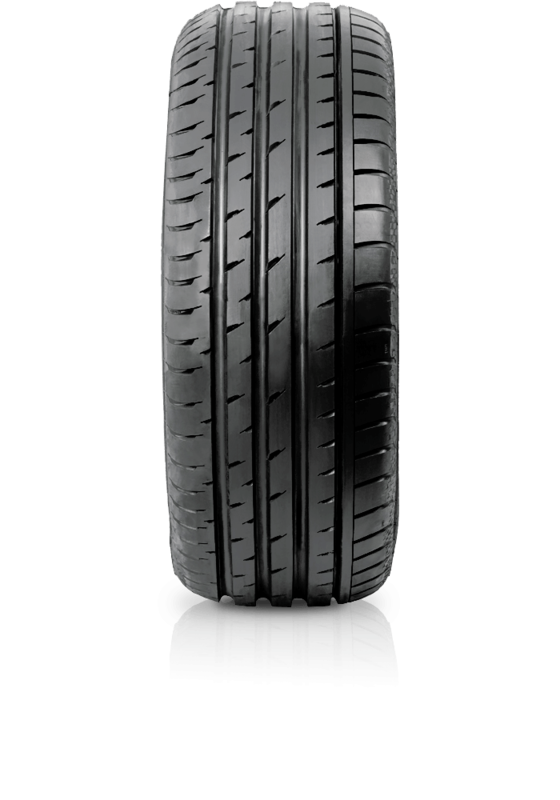 With the tyre design the vehicle maintains good adherence to the road when driving at high speeds, making abrupt manoevres or changes in road surfaces.